Thoughts on some of my favourite anime series. Spoilers ahead. 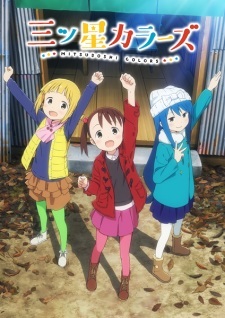 I am generally drawn into anime revolving around girls doing fun things and Mitsuboshi Colors is an amazing example. There is no real plot line, there are no true worries or concerns, instead it's 3 kids having fun in their own club, occasionally doing some mischievous things, but most importantly, having a really good time. The girls are on occasion given small, but fun challenges and activities crafted by who they call "old man". These challenges often have dangerous stories attached to them to further encourage the groups attitude towards the task at hand, but really they are harmless and fun tasks. Old man for example once crafted a "bomb", instructed the girls to solve a riddle and find a clue that indicates which wire to cut - cutting the wrong one would result in the device exploding - smelly liquid all over them. And the group knows this when they accept the tasks, but they take them seriously. The OP of the series is really fun and energetic, definitely worth a watch. I've yet to have this much fun watching an anime, the series isn't over yet, and I am definitely picking up the manga. I've never considered myself the kind to enjoy movies. I enjoy achieving an emotional connection with the characters, something I didn't think is possible with a movie - so I've actively avoided them. 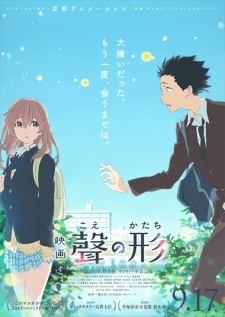 Prior to watching Koe No Katachi I was on two occasions suggested the film over the period of a day and that was enough to convince me, along with it at the time being ranked 12 on the MAL list, it certainly had to be something special. The opening section of the film that took place during their elementary school day was particularly difficult to watch. The relentless bullying of Nishimiya when she first transferred into their school hit me on a personal level. None of her classmates were able to understand what she was saying, not only because of her inability to hear and speak, but her best efforts to reach out to others. She was doing her best and no one seemed to realise. I really couldn't wait for the misery of this part to end. We later learnt that once Nishimiya transferred out of the school Ishida (the main character and worst offender with bullying) attended he was in-turn bullied relentlessly himself, losing all of his friends and closing himself into a shell in the process. Later Ishida began learning sign language in hopes of one day apologising to Nishimiya for the horrible things he had done. This occurred early into the section of the film after their primary school days. The story continues as the two main characters fall in love while simultaneously battling thoughts of suicide. I really didn't see Nishimiya's suicide attempt coming, and found it quite corny how Ishida just so happened to go back to her house and catch her in the process. Furthering the corniness, taking his shoes off and tripping over furniture while attempting to stop her from jumping. It didn't turn out how I expected though, I truly believed she would succeed in her goal, but thankfully she didn't, instead Ishida fell, putting him in a coma. I really enjoyed the film and cried a number of times throughout. This has opened the door to anime films that I would normally ignore, I hope to find many more gems like this. 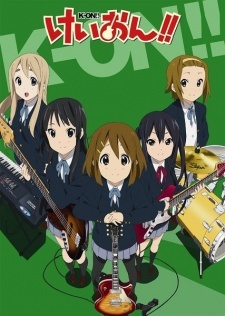 K-On is highly regarded in the anime community as a particularly great slice of life show revolving around the everyday life of 5 high school girls as they form a club and band creating music and performing in various venues. I picked this anime up as one of the first shows I watched, however I didn't get through the first season. It wasn't until mid-end 2017 that I finally sat down and completed the series. This is due to a number of reasons, none of which are the quality of the show. I found the anime to be one of the most comfortable shows I have watched, the story isn't anything big or special - the real reason to pick this series up is the characters. I have a hard time selecting a favorite character from the show - for the show and its story specifically it's a tie between Azusa and Ritsu, although Mugi nearing the end of the series really picked up and is a close contender. Ritsu in my opinion is great character due to her over the top energetic persona and her clumsy nature. Azusa is very similar, however for complete opposite reasons. She tries her best to be a leader and strict, but so desperately wants to participate in the antics of the other girls, I really relate with this. Mugi, towards the end of the series has developed I would believe the most out of all the characters. She has been trying her best to be normal like the other girls (which means trying to get in trouble), while every time it ends in hilarity. The series has a fantastic OST, however the real stand out for the music in this show is the songs Ho-kago Tea Time (the band) produce. The voice actors themselves have done live shows in which they performed their own songs - they learnt the instruments they use in the anime, the only one with past experience was Mugi's voice actor on the piano. This is some extreme dedication. I seriously recommend picking up (or downloading, which I did) the K-On Music History Box which contains every vocalised song they produced, along with the complete anime OST. 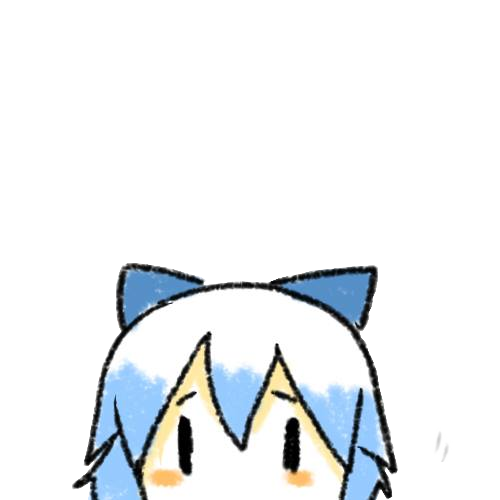 I particularly enjoy Mio's song named 'No, Thank You!' which was used as an ED for season 2. This series definitely is something special and will always be one of the first shows I recommend to anyone wanting to get a taste of anime. 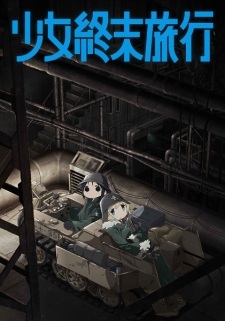 Also known as 'Girl's Last Tour' this was one of the first series I watched from the original airing date every week until it unfortunately ended 12 weeks later. When I began the season I was dreading how the story might develop as I had terrible Made In Abyss vibes given off by those that have watched it, and as you may or may not know it's devastating (i'm putting it off myself for this reason). However, I only really had one moment which had my eyes watering - the moment Ishii's airplane broke apart mid flight. This brought on immense feelings of loneliness. The antics between authoritative, mother-like figure Chii and the lovingly-hopeless child-like Yuu were extremely entertaining and always fit the atmosphere perfectly. Throughout the entire series, after the first episode and the scare of Yuu pulling her gun on Chii (which you later understand wasn't a serious act, instead a lesson) I knew Chii and Yuu were never actually in serious danger. I felt like they were invincible and in no way could die - I wasn't wrong. I'm really happy it was this way, there were many scares for their safety sprinkled throughout the show, but none of it got to me. Instead I was enjoying two fun girls driving throughout the destroyed world learning about things we take for granted. The ending of the anime left me with many, many more questions than answers and I really don't understand where or why the flying mushroom people exist, however I can forget that part of the finale - otherwise it was wonderful. This is the first series that has convinced me to pick up the manga, and i'm really enjoying it. The OST for the anime is beautiful, particularly the main theme, I really recommend listening to this track. The OP and ED songs are also equally beautiful but much more up-beat. Tamako Market was something I had never heard of before viewing the OP in a chan thread, but I am really glad I got to see it. In my mind I have been comparing it directly to K-On - they were made by the same studio and have a really similar art style. The story is different, but it is incredibly playful and full of fun, fluffy moments, just like K-On. 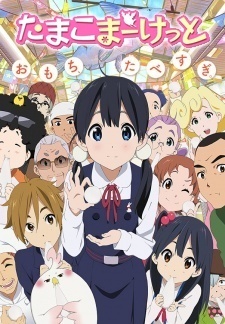 Tamako, the main character reminds me heavily of Mugi from K-On both in behavior and looks. It was really staggering at first, it's almost like they're sisters. Tamako is really goofy and qwerky - she isn't the brightest spark in the room which leads to many situations in which she just doesn't grasp what is going on, which of course usually leads to hilarity. I really enjoyed this series and in my mind it is of equal quality and ranking as K-On, truly a masterpiece I would recommend to people that like cute things. There were only a few moments in which I could have been brought to tears but didn't, that's the biggest difference between K-On and Tamako Market I feel, in K-On of course, I cried many times. The ED is really enjoyable, highly suggest viewing it at least once. The full version is defintely worth a download as well.